Banking a fire sounds kind of like saving for a rainy day. While the process is really not quite that simple, or that wonderful, in fact, what you are doing when you employ this technique is saving yourself from having to start a fire completely from scratch, by preserving embers (coals) that allow the it to being burning and slowing down the rate at which fuel is used. When should you bank your fire? Primarily the purpose of doing this is to allow it to be less attended (you should never leave one unattended), such as when you sleep, or leave it temporarily to get more wood. Other instances when you may wish to employ banking include certain cooking techniques, where you want long, slow heat for cooking, such as for stews, soups, and casseroles, or for roasting vegetables. The first step in banking a fire is to develop an understanding of how fires work. In order to burn, fires need these three ingredients: fuel, heat, and air. Too little of any of these and fires go out. But in the right proportions, the management of fuel, heat, and air allows fires to burn fast or slow, hot or cool. Some experimentation in arranging these three ingredients will help you get a feel for managing the your burn rate. Banking involves the management of airflow and heat between the burning logs. When air flows freely, fires tend to have a lot of flame (not one of the necessary ingredients to keep one going!). When the airflow between the logs is slower, then fires burn longer and more slowly (because the fuel is not being burnt up as fast). However, since you are reducing the air and the fuel, you will need to increase the heat on the fuel to keep the fire burning. In order to increase the heat, you can use the embers that fall from the fire to help close the air spaces between the logs. Take embers from the bottom of the fire, and shovel them onto the top of the logs until the flames die down to almost nothing. Don't worry, your fire will still burn; it will simply burn at a much slower rate, allowing you to add fuel far less often. When you want to restart it, simply pull the logs apart a little to allow the air to flow through a little more, and increase the heat by adding some fast-burning wood, such as pine or magnolia. You may also wish to increase the airflow, so you can blow on it, fan it, or use a bellows to add more air. This banking technique works both on campfires and in fireplaces. By banking your fire and regulating the rate at which it burns, you will be able to save money on fuel, keep it burning longer, and be able to cook your food without burning it . . . and you can save yourself the time and trouble of starting your fire completely from scratch the next morning, or of getting up every hour or so to feed it. So try this process for yourself next time, and learn how to manage your burn rate, and you can bank on being able to bank your fire every time! 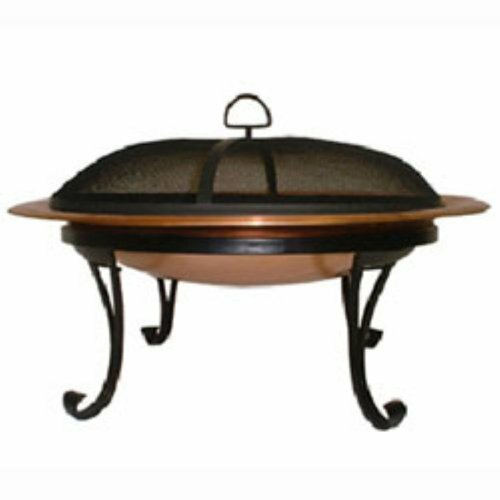 A safe way to enjoy the comfort of a fire (and convenience when camping), while minimizing at least some of the dangers. The device folds and fits into a canvas bag for easy transporting and at sixteen pounds, is relatively lightweight.